While I’m reading our Gourmet San Rocco and Food&Wine Primizia Restaurants menu offering boškarin carpaccio, boškarin beefsteak, boškarin meat roll baked in the bread oven, as well as other Istrian cattle based dishes, I wonder how many consumers of this delicacy knows the meaning of the word boškarin. I am certain most of them think it is an animal. Boškarin is a proper name, maybe the most frequent one used by a peasant for his cattle. Equally present were Bachin and Gaiardo, as well as Viola and Garofola for cows. It was a true family member, pride which was washed and cleaned, shown to everyone while being taken to water, praised for its weight and strength. 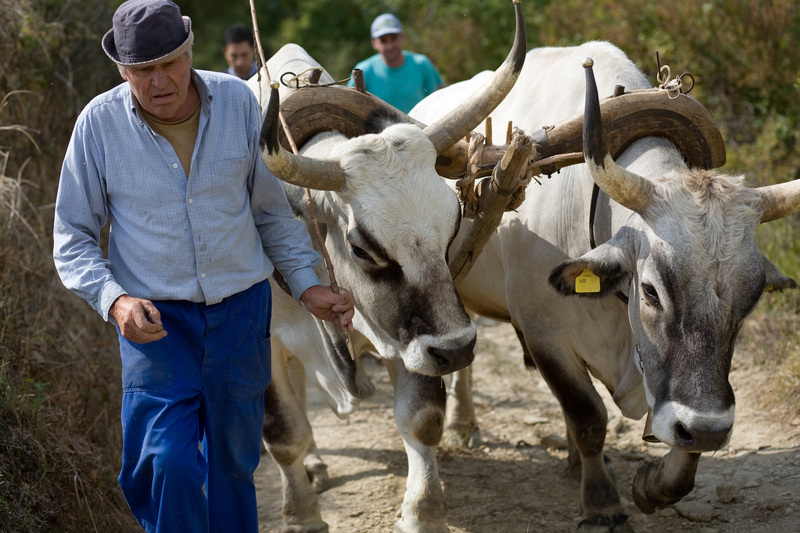 Boškarin was taken care of with huge love and dedication, as it was crucial for field ploughing and bringing food to the family table that year. Its stable was a meeting point for chatting during cold winter days surrounded by the warmth created by this gentle giant. I remember a particular 17 August, many years ago, following the San Rocco feast, when the Brtonigla families descended to Karigator on ox drawn carts to wash not only themselves but also their cattle in the sea. I was sitting on one of those carts with my family and with chicken gnocchi prepared by my grandma. I remember as clear as day all the emotions experienced when I first saw the sea from the macadam road near the school in Fiorini. This is my, our, Boškarin. I remember when the last ox left our stable in 1968, having been replaced by the 18 horse Pacquali cultivator. 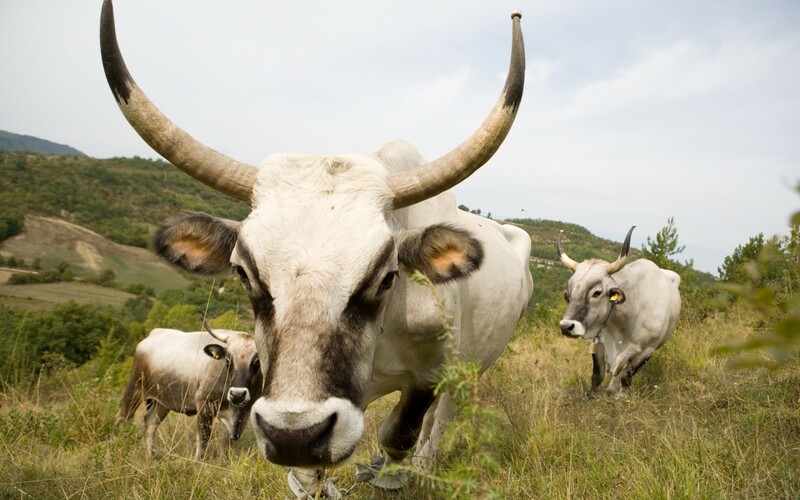 I also remember when a member of the Slow Food Italy movement suggested to us, municipal heads present at the meeting in Novigrad in the late 80s and early 90s, to evaluate the Istrian ox meat in cuisine to preserve this, already extinct species. And yes, I remember the feeling when I had heard that we had to eat ‘one of us’ in order to protect it. The continuation of the boškarin story and its culinary and alimentary quality is part of recent history.